YOUR ARE MY BROTHER AND AMEN! It is so conveniant for the pastor of the church to call those who do not tithe a God robber. Maybe the pastor should just say what he really means and that is you are robbing me as your pastor. Most pastors cars sit in the church parking lot for hours while they sit around building there knowledge and preparing their sermons. My point is that if a pastor works then he deserves a decent salary, but if he just sits around telling people what to then the pastor is a God robber. A pastor should be spending all of his time in service actually working hard. If I have to go do a real job every day then I expect my pastor to work for his living too. If my pastor is not working then he is not getting a dime from me. I can easily find needy people to serve on my own without relying on the church to do it for me. Most people pay the church to do the things that they should be doing everyday. 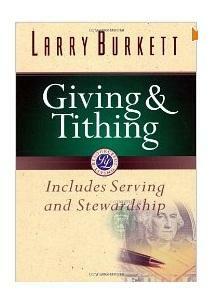 For most people tithing is just another excuse for them to do no ministry on their own. The church of course does not care if the people serve as long as the money keeps coming in so that they can hire more servants. That is why our churches are staffed with hirlings instead of true shepherds. According to the Scripture, the primary focus of the pastor, and those in the 5-fold ministry, is to spend time in prayer and in the Word. Those that preach the Gospel are to derive their living from the Gospel.